We welcome all framing enquiries and encourage you to bring your work in so that we can make an initial assessment before discussing all available options. The next step is to choose your frame, matt/mount and glass from the selection available in the Gallery and this information is forwarded to the framer so that he can prepare a quote. Once you have approved the quote the work is sent to the framer for action. 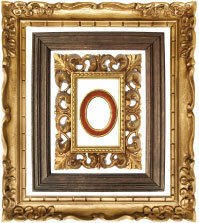 When the finished framing is delivered back to the Gallery you will be advised.